Spanish lessons are booming in schools across England despite the general decline of modern foreign languages taught in classes. While children learning French or German has dramatically declined from the previous two decades, pupils learning Spanish at GCSE level has increased from 29,000 to 85,000 between 1995 and 2015. Students taking Spanish A-level has also risen from 4,095 in 1996 to 7,608 in 2015, according to a recent House of Commons Library research paper on language teaching in English schools written by Robert Long and Paul Bolton. That means in the last 20 years, Spanish language take-up has risen from five per cent of pupils to 14 per cent. In the academic year beginning in 2010, Spanish overtook German as the second largest language at GCSE level. Spanish could also overtake French as the most popular modern language A-level after it overtook German as the second most common language at A-level in 2008 and was only 1,400 below French last year, the authors write. Although they do not offer an explanation as to why Spanish has become so popular, an author of a report on language take-up in schools in 2013 for CfBT education charity suggested there was an incorrect view of Spanish as a global and “more useful” language. Teresa Tinsley told the BBC three years ago: “All the information shows that the languages that are most needed in the workplace are French and German. 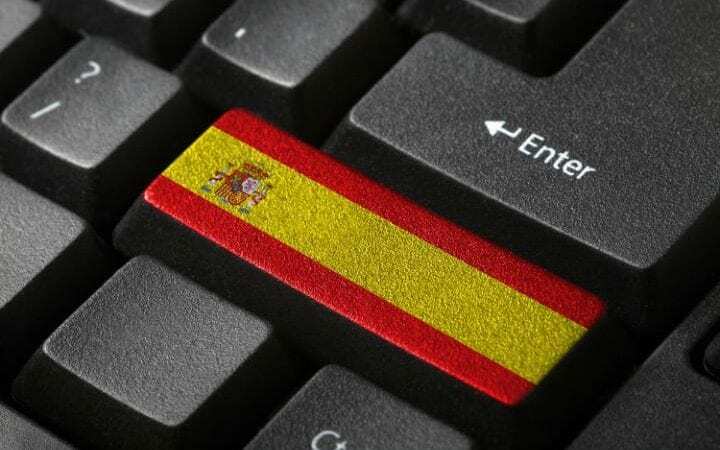 “I think there is an erroneous perception that because Spanish is a global language, it is therefore going to be more useful but that doesn’t necessarily reflect the structure of our economy and the trading links that we have,” she added. The report comes a month after OCR exam board said it would no longer provides GCSEs and A-levels in Persian, Turkish, Portuguese, Dutch, Gujarati and Biblical Hebrew. And on Monday, TES reported that the same board decided it would stop offering GCSEs and A-levels in French, German and Spanish because “there is too much work to be done for OCR to achieve accreditation of its new MFL [modern foreign language] qualifications in time for teachers to make a considered choice about new qualifications for this September”. Last summer, the government said that all students who began in year 7 in September 2015 would take the English Baccalaureate subjects when they reach their GCSEs in 2020. Meanwhile, an Ofsted report in September last year highlighted areas of “serious concern” ahead of the Ebacc implementation including the quality of teaching pupils received in languages at Key Stage 3, according to the research paper. But the Department for Education has stressed it is addressing the supply of language teachers as exam changes take force. The government is keen to get students learning more languages and performing well after a 2013 European Commission European Survey on Language Competences found that “England’s performance did not compare well with the global average”. Students also learned a language later than their continental peers and were taught for fewer hours per weeks than average, the paper said, quoting a BBC report from June 2012. The research paper cites an Education Datalab finding from March this year which said that 3,400 new language teachers would be needed to deliver an “Ebacc for all”. But with language becoming compulsory in the new Ebacc, many hope the numbers of students learning a modern foreign language will increase as globalisation continues apace. What are the best languages for international businesses? Why is it so easy to lie about language skills?